Connecting Privy to your Smile.io account can help to engage and reward your members. 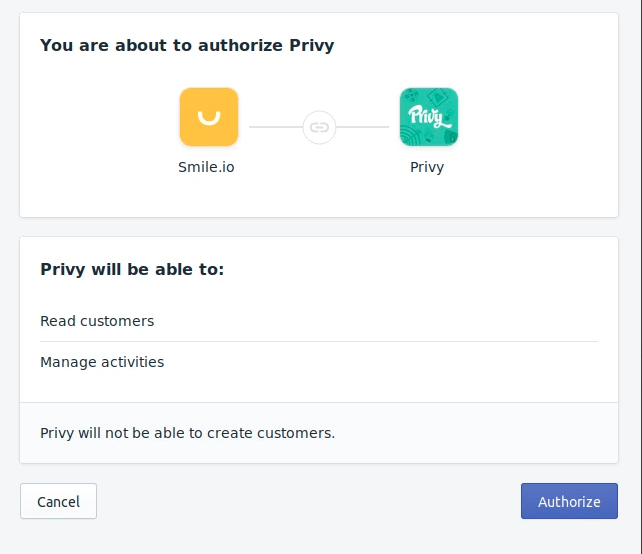 Connecting your Smile account to Privy is simple. Go to the Integrations page within your Privy Dashboard. Search for "Smile". Once you hit "Authorize" you are now ready to start using your Smile.io attributes within Privy.